Either way, it?s absolutely elegant. 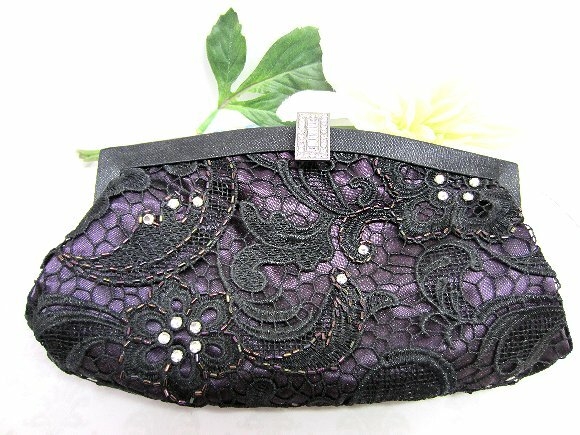 The evening clutch is made of aubergine satin with an overlay of black lace. I've beaded the front with iridescent glass bugle beads and crystal roses montees. The clutch measures about 9-1/2? wide by 5? 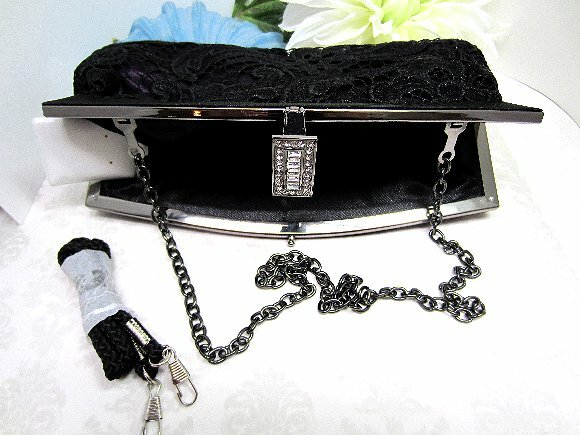 tall and closes with a rhinestone studded clasp. The gunmetal chain strap is about 24? long.